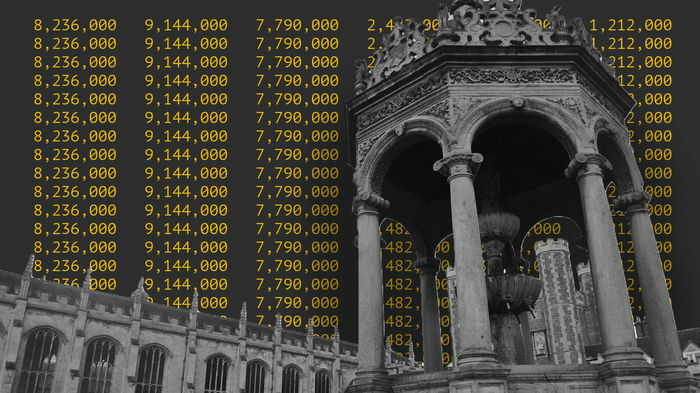 Investments in arms manufacturing companies by Cambridge colleges total over £6.5m, new data from Freedom of Information requests has shown. Out of the 20 colleges who responded, five were found to hold investments in the arms industry, in corporations including BAE Systems, United Technologies, Airbus SE and Lockheed Martin. Emmanuel College holds the largest amount, with nearly £2.9m invested in two arms companies, Airbus SE and United Technologies – Airbus SE was excluded from the Norwegian Government Pension Fund in 2016 due to its nuclear weapons production. Trinity College holds the second highest investments in the sector, totalling nearly £2.5m, in eight companies: BAE Systems, Caterpillar Inc, General Dynamics, Lockheed Martin, Northrop Grumman, Raytheon, Textron and Thales Group. It further holds more than £3.2m in tobacco companies, including Philip Morris, British American Tobacco, Altria, and Imperial Brands, all of which have been excluded from the Norwegian Government Pension Fund. Darwin holds the largest investments in British arms company BAE Systems, with over £320k in holdings. Emmanuel and Darwin Colleges did not respond to requests for comment. BAE Systems has a weapons contract with Saudi Arabia. In 2014, it signed a £4.4bn deal with the Saudi Arabian government to provide 72 fighter jets to the state. The company has, however, consistently denied complicity in reported war crimes in Yemen. Lockheed Martin, a global aerospace and defence company, has produced weapons apparently found to be used by coalition allies Saudi Arabia in Yemen. A significant portion of its revenue comes from the US government and Department of Defense contracts. Selwyn College previously held £532k worth of investments in General Electric – listed in 2016 as the 36th-largest arms producing and military servicing production company by Stockholm International Peace Research Institute – but told Varsity that these have recently been sold, in line with its ban on the direct investments in the arms sector. In their investment strategy, Lucy Cavendish also has a ban on investments in arms companies, while Darwin has a ban on investments in tobacco industries. Most Cambridge colleges do not have explicit policies on not investing in weapons manufacturing companies. Several have claimed that Charity Commission rules, which ensure that they must maximise returns, have made it difficult to establish a more ethically-conscious investment policy.